Multi genre music festival, Time Out 72 that includes recording artist Jason Derulo and DJ, Martin Garrix on its line-up at Goa’s music destination Vagator from the 27th to the 29th of December 2017 is collaborating with Don’t Let Daddy Know, a company that curates clubbing concepts. The main stage at the debut edition of the festival will be in association with the clubbing concept - Don’t Let Daddy Know. 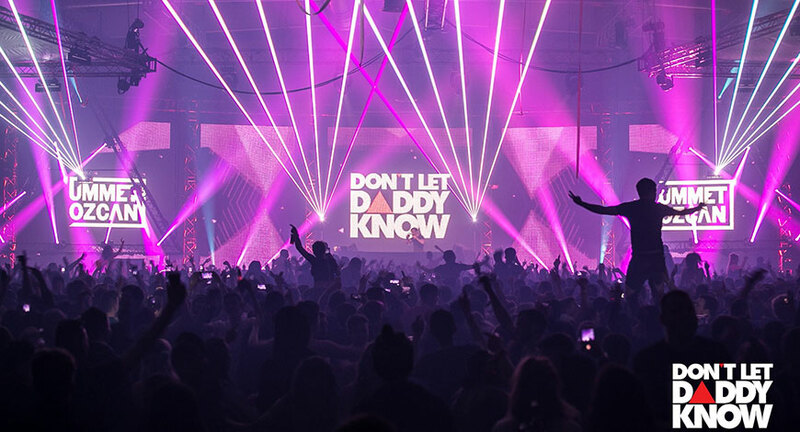 After debuting at the club, Privilege Ibiza just over 4 years ago, Don’t Let Daddy Know, has staged events in Amsterdam, Antwerp, Manchester, Chile, Belgium, England, Netherlands, Hong Kong and Istanbul as well as hosting their own stage at Ziggo Dome, Mysteryland and Creamfields Festival. The stage will feature artists like a lot of big names apart from Martin Garrix catering to cosmic mash of electronic dance music genres including trap, dubstep, drum and bass, hardstyle, house, tech house, deep house, electro, psy-trance and electronica. Festival goers can expect to witness a stage unlike any other as DLDK gears up to present a clubbing experience that will see state of the art experiential zones and phenomenal production, making this an extravaganza of mammoth proportions and maintaining its reputation as a must-attend festival for any dance music enthusiast. Conceptualised and produced by Waterlemon Events LLP and Sudarshan Entertainment World, the festival will be privy to 3 days of a multiplicity of music genres. Tickets can be purchased on insider.in and bookmyshow.com. Comprising of a mix of homegrown artists and global support acts, Time Out 72 aims to blur the lines between technology, music and adventure in a great web of artistry. Adding a dash of international experience at the festival will be art installations, international emcees, flea markets, solar powered stalls, adventure zones, grafitti panels painted through the festival, chill-zones with the world cuisine. The festival aims to cater to an assortment of sounds such as pop, rock, indie, live and dance and will feature 3 stages apart from multiple after parties making it an all-encompassing family friendly festival. This event also aims to put a strong emphasis on security for women and zero tolerance towards banned substances.